You are here: Home / Newsletter Archives / Specials / Limited Time Offer! 25% Off G. Loomis Rods! Limited Time Offer! 25% Off G. Loomis Rods! While Supplies Last! 25% Off Select G. Loomis Rods! Over 60 Different Models! While limited supplies last, take advantage of 25% off select G. Loomis rods. There are over 60 models on sale and these rods will not last long. 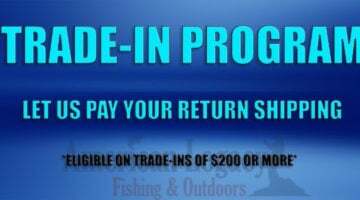 Whether is a bass fishing, fly rods, travel rods, or saltwater rods, we’ve got you covered! The Most Exciting New Casting Reel We’ve Seen! The Shimano Curado DC 150! Shimano has sent shock waves through the entire fishing industry this morning with the announcement of a new reel: the Curado DC 150. Now, those of you who are familiar with DC (Digital Control) in past reels probably remember one thing above the rest: cost. It’s expensive! And for good reason……It’s basically adding a microcomputer to a fishing reel and has typically carried a price tag of at least $500. Well, Shimano has done something amazing with this reel. They have taken the DC technology, added it to a Curado and kept the price under $250!!! If you haven’t used the a DC reel before, this is a total game changer…….a true paradigm shift in the landscape of casting reels. When it comes to casting distance and accuracy, non-DC reels simply cannot compete. Not to mention the fact that it is actually hard to backlash these reels (when set properly). Our staff was fortunate enough to fish with the prototypes a couple months ago and the reaction was unanimous. “When can I buy these? I HAVE to have them”. Amazing technology, amazing reels. We are expecting to receive a first batch of these in early August. However (and this is important), Shimano has already informed us, this will be a limited release. Quantities will be EXTREMELY LIMITED on the initial shipment. If you want one of these reels (and trust us, you do), we highly recommend pre-ordering now to get your spot toward the front of the line. 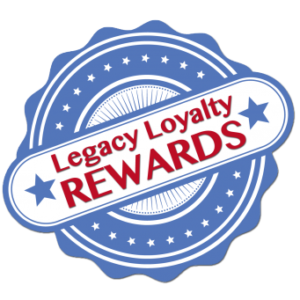 SIGN UP FOR LEGACY LOYALTY REWARDS TODAY! Legacy Loyalty Rewards- Earn Points With Every Purchase!